Explore below to learn about SPINERGY's innovative technologies. Innovations in materials, production processes and quality assurance allow us to offer you the best products to fit your needs. If you have any questions about any of our products or technology, feel free to reach out to us at info@spinergy.com or visit our website at www.spinergy.com. 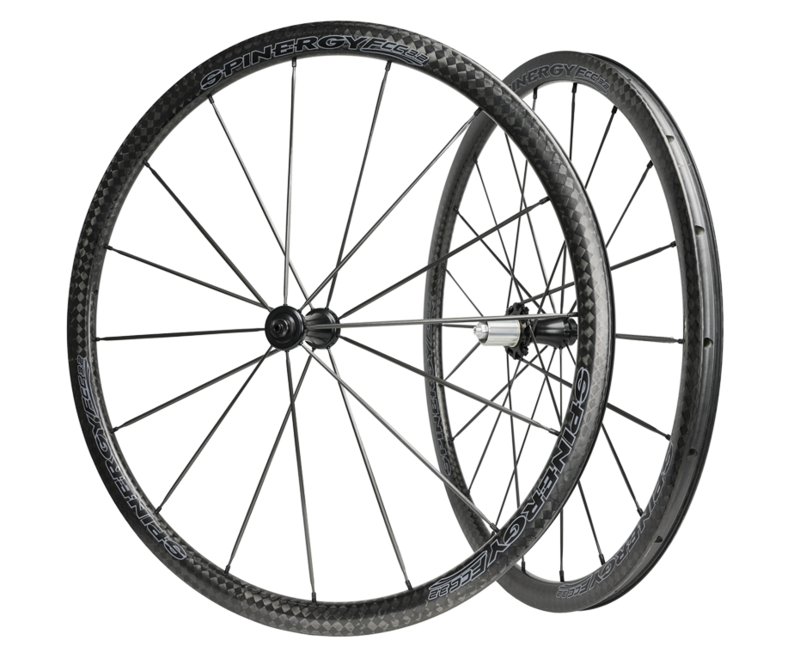 Our engineers invented PBO Fiber Spokes, a revolutionary technology for stronger, lighter and faster wheels. PBO Fiber Spoke Technology. 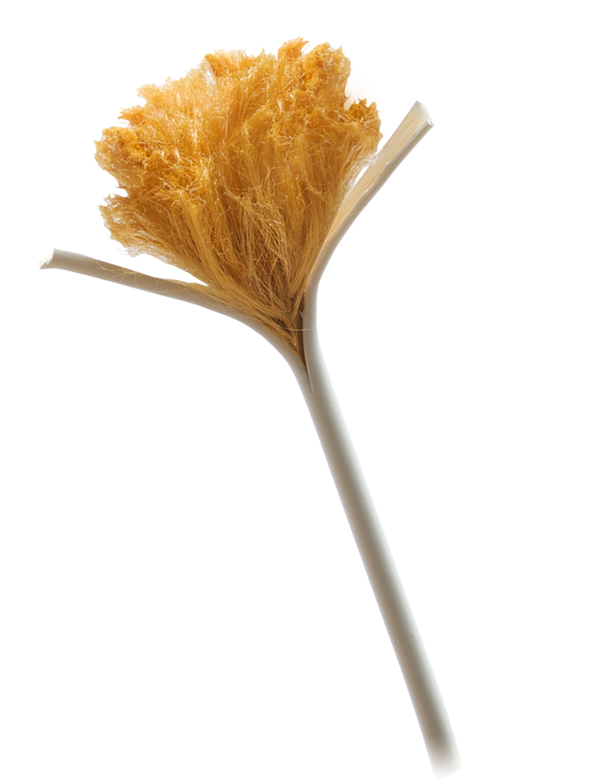 Every PBO spoke contains over 30,000 strands of Polyphenylene Bensobisoxazole fiber, delivering 3-times the strength of stainless steel at just half the weight! 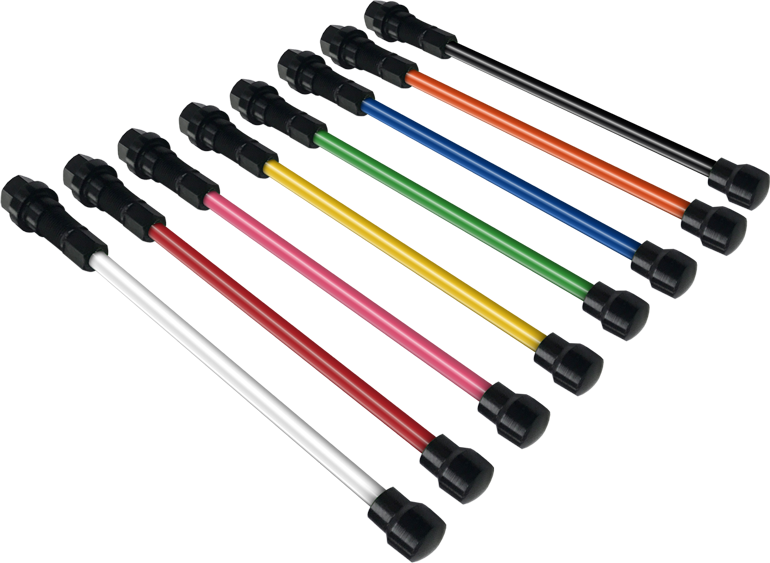 PBO fiber strands are encased in a chemical resistant, water / UV proof composite offered in a variety of colors. The outcome is a flexible spoke with incredible strength that will absorb impacts more efficiently while staying in true. 3 times stronger than steel at Half the weight! PBO Spokes are lighter than traditional steel spokes which result in less rotational weight and a faster responding wheel—giving you the ultimate riding advantage. PBO delivers a wheel that is lighter, stronger faster and superior in every way. Whether you are a cyclist or pushing a manual wheelchair, you will feel the difference almost immediately! 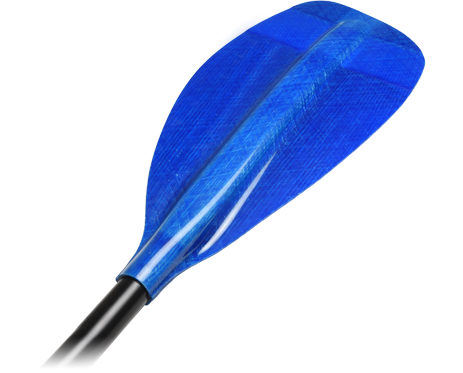 Our trademark spoke consisting of 30,000 strands of PBO is now offered in a bladed, aerodynamic shape. Experience incredible strength that absorbs impact more efficiently while staying in true. Aero PBO spokes take the sting out of the road. 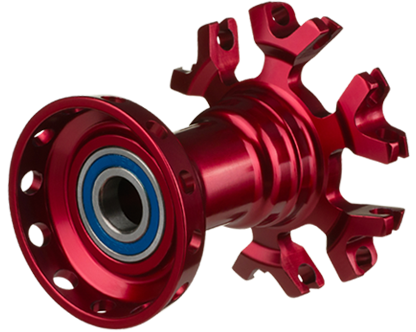 The vibration dampening qualities of the PBO spoke design are unmatched in the market. 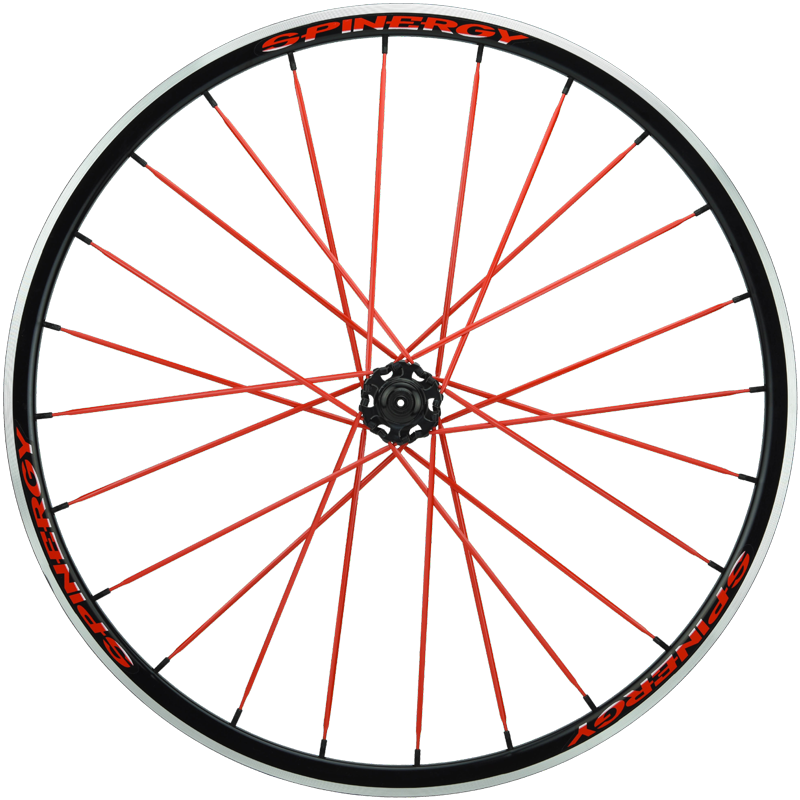 No other spokes and wheel combination provides the performance and ride handling that Spinergy does. A difference you can feel on your first ride. 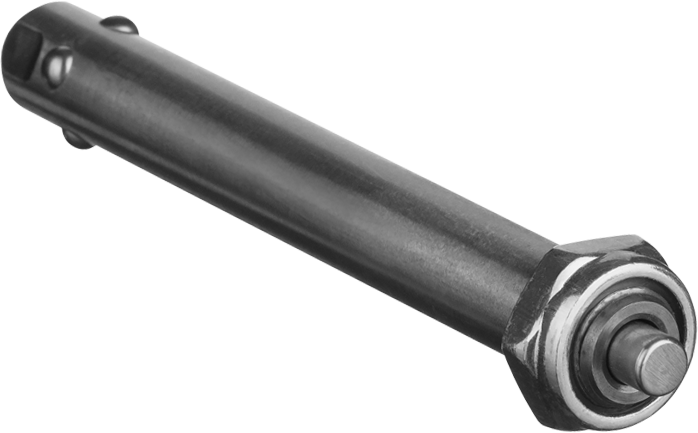 Spinergy's unique and patented PBO spokes are made from a Flexible High strength Zylon Fiber. The fiber can actually be tied into a knot unlike a steel spoke that would permanently bend. 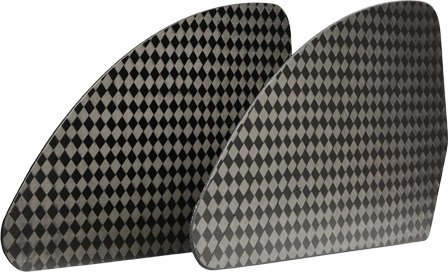 These two material when placed into a wheel under tension, will transmit vibration from the road surface differently. The steel spoke will transmit vibration at a much faster speed and amplitude resulting in the user feeling these vibrations in their hands and body. 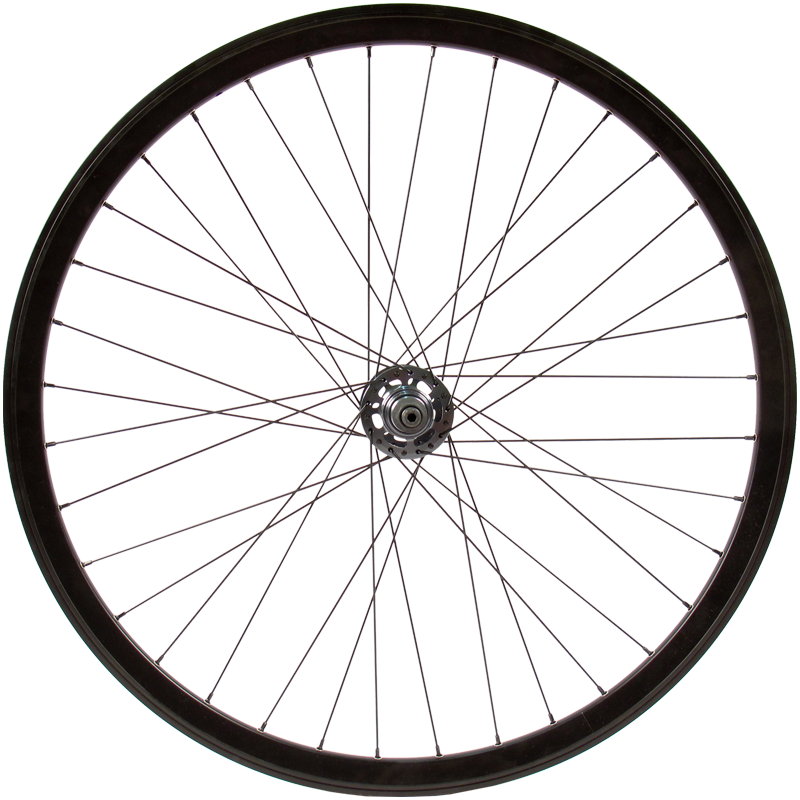 The PBO spokes will absorb much more vibration and transmit this vibration into the wheel at a much lower rate of speed and amplitude resulting in a demonstrable difference. If you are bicyclist this means you will be far less fatigued after a long ride. If you are a wheelchair user, this means that far less vibration comes up through the wheel into your hands. Spinergy is known for our stylish and Application Specific Hub Designs. Our Hub Designs for both Bicycle and Wheelchair are specifically designed to minimize weight and maximize strength. Our Engineers and Designers have been designing unique Hubs for the past 27 years using 3D Modeling software. 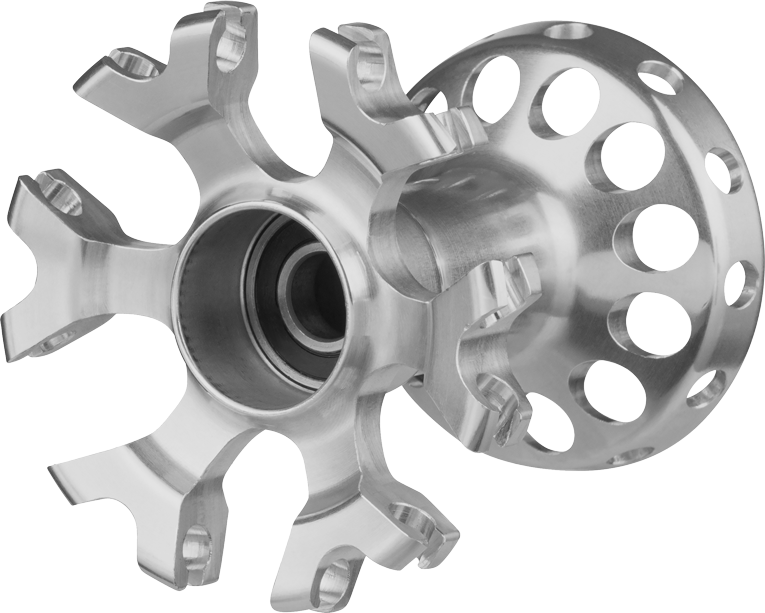 Spinergy manufactures our Hubs utilizing either a High Strength forging process or a High Strength machined aluminum billet process. Both processes provide for exceptional strength and part to part accuracy. 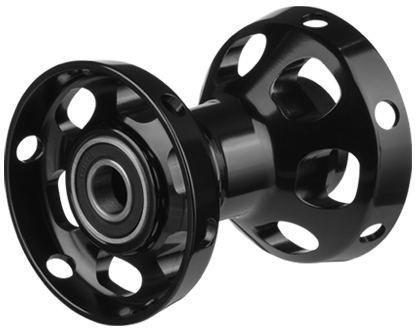 We use 6061-T6 High Strength aluminum and all of our hubs receive a Type 2 Hard Anodized finish for a Superior long lasting look! Hover over the silver hub to get a closer look! 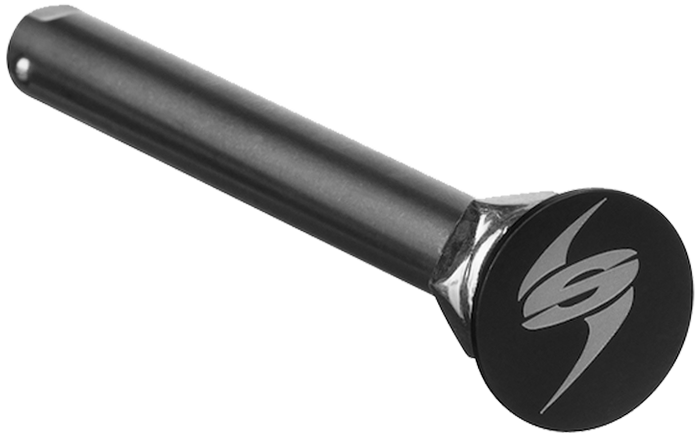 Spinergy takes great pride in offering the finest wheelchair axles in the Industry. 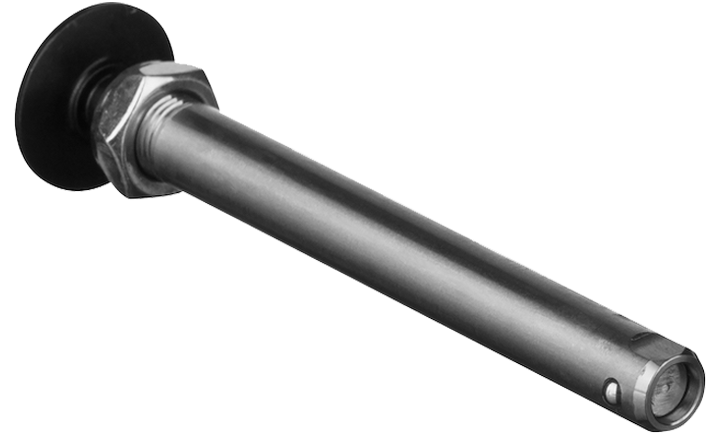 We offer both Stainless Steel and Titanium axles in ½” diameters and Stainless Steel in a 5/8” diameter for extreme wheelchair sports. We utilize a two ball positive locking design for exceptional strength and a smooth feel. 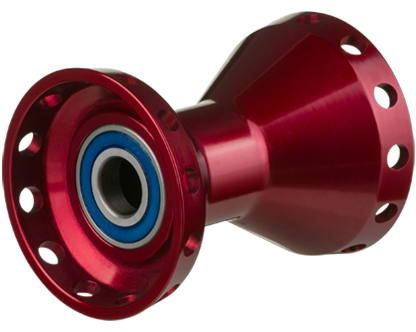 Our axles are precision ground and machined to Aerospace Tolerances using the most advanced CNC machining equipment in the Industry. 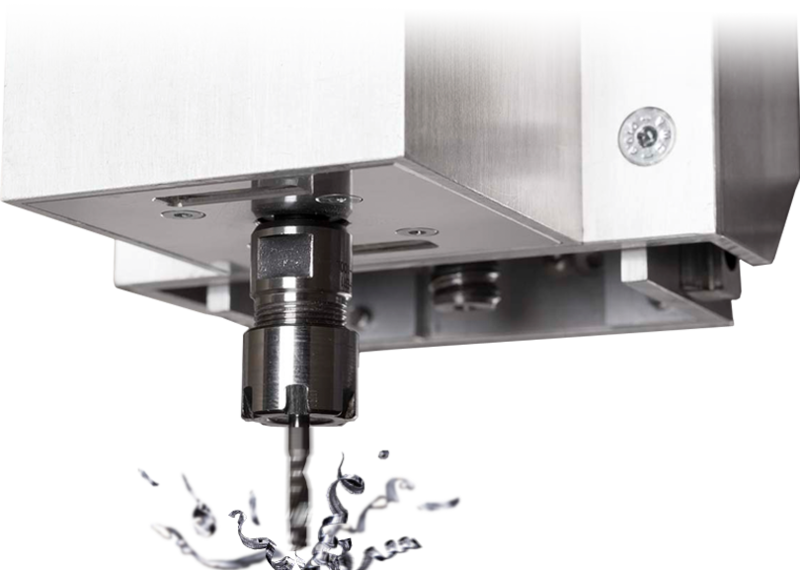 We use Machined Ball Retention (MBR) instead of the traditional swaging technology as is depicted in the animation below. MBR technology provides for a seamless transition of the balls. 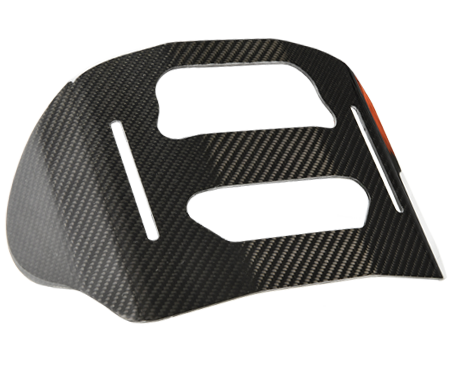 We have over 30 years of experience working with leading edge material Companies to develop and manufacture optimized composite structures. 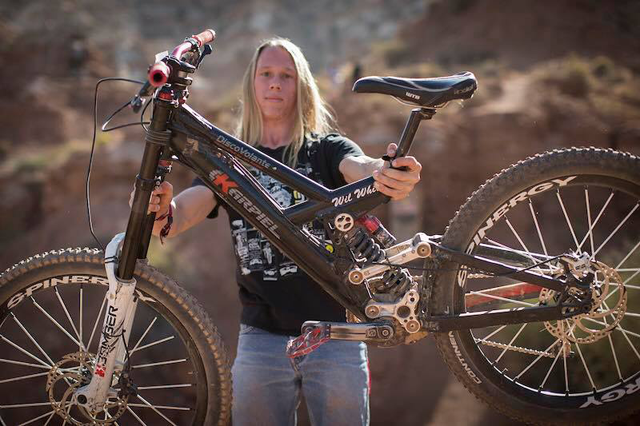 "I use the XSLX R10 Spinergy Wheels because they are lightweight but yet extremely durable. No other wheels put up with the abuse! When you've got the best don't worry about the rest!" "I choose to ride Spinergy wheels because I know that no matter what, they won't fail me. I don't have to worry about my bike rolling away from a hard case or huge overshoot on a giant step down. If I can hold on, I know my wheels will." "I LOVE MY NEW WHEELS & THE SPINERGY ZX1. I can't even put into words how amazing the device is, how easy it is too hook up to, but most of all, it has changed my life drastically. Taking it to a whole other level with my Independence. NOW I don't need anyone to push me around anymore and I can go anywhere!!!!" 2017 © SPINERGY Inc. All rights reserved.